Back in April I was thrilled to be asked to go along and talk to a select group of bloggers on behalf of Argos. 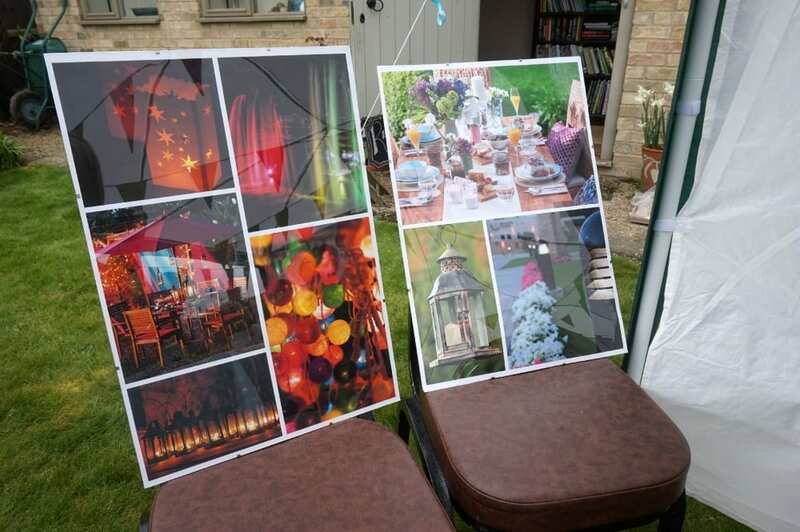 They had created a beautiful garden party theme for bloggers and their families and it was my job to inspire them on garden lighting. The event was set in a garden blogger’s stunning garden and was a wonderful setting. Even though this was back in April the weather held throughout the morning and we enjoyed getting to know each other and talking about all things lighting. We talked for half an hour on the best way to make the most of your garden using solar powered lighting. Whilst mains powered lighting is great, it’s more expensive and needs specialist installation so if you want something quick and easy, solar lights are the way to go. No matter what size of garden you have, there is a way to incorporate lights to create features and focal points. Keep it practical and use solar lights to light pathways, ponds and darker corners of the garden. Lights on steps are essential for moving around the garden at night. 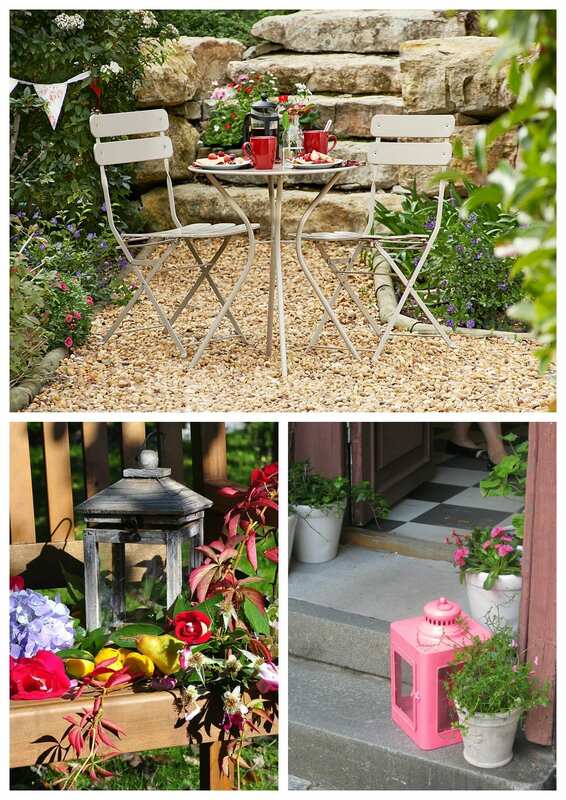 Add solar-powered wall lights to courtyard gardens, even painting the wall a bright colour for extra impact. Add fairy lights or staked lights to potted plants for extra interest, or string them along trellises and fencing. Coloured lights at bright accents to gardens with no flowers. Many decorative products are available now that incorporate lighting so accessible both in the day and at night. Trees can look amazing when the trunks are lit and lighting points upwards to highlight a the branches and leaves. 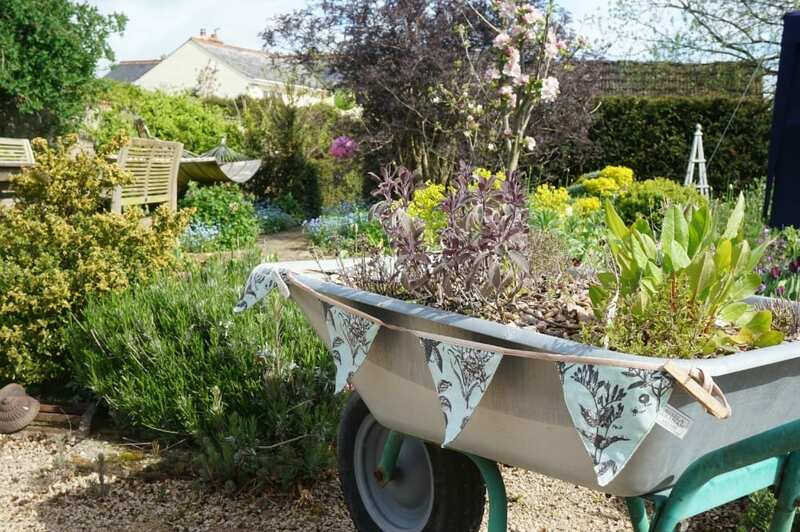 Use a variety of lights, fairy lights, wall lights, lanterns, tealights, Solar wind chimes, traditional styles and contemporary, there really is something for everyone, and everyone’s garden. 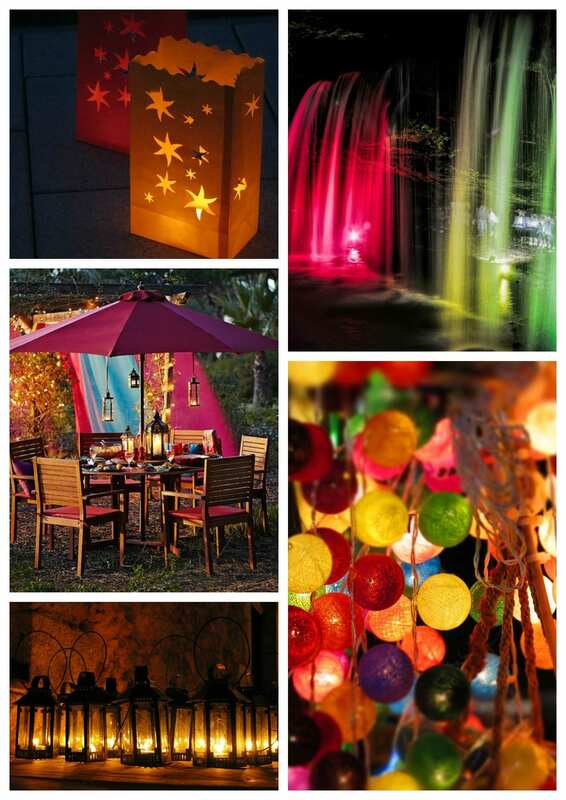 If you’re eating outdoors there are all kinds of lights you can use from solar-powered tealights, to lanterns and fairy lights hung from the parasol. The main thing to remember is that anyone can have fun with garden lighting, you don’t need to be an expert or landscape gardener. Just use a little imagination and creativity and give your ideas a go. The session ended with a great, fun craft suitable for everyone, even the Dads took part. 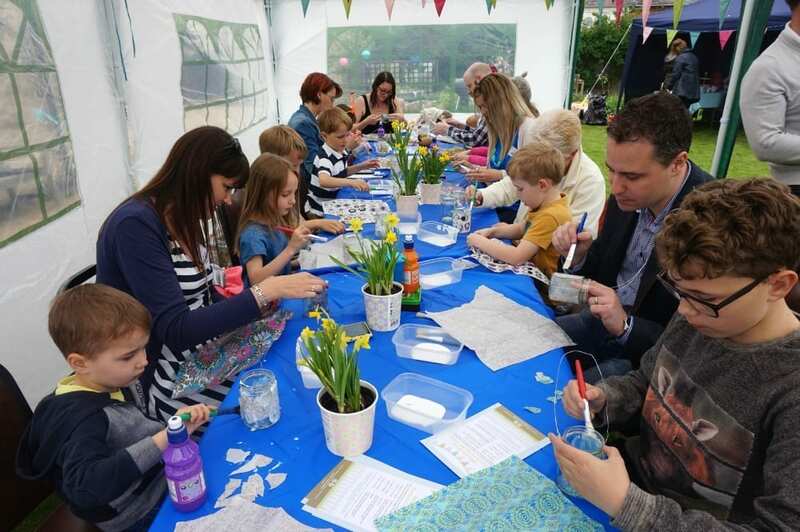 Using jam jars and decoupage papers we all made our own individual lanterns perfect for any garden. You can see a full recap of the workshop, including a video and some top tips, plus a step by step tutorial on how to make the lanterns HERE. 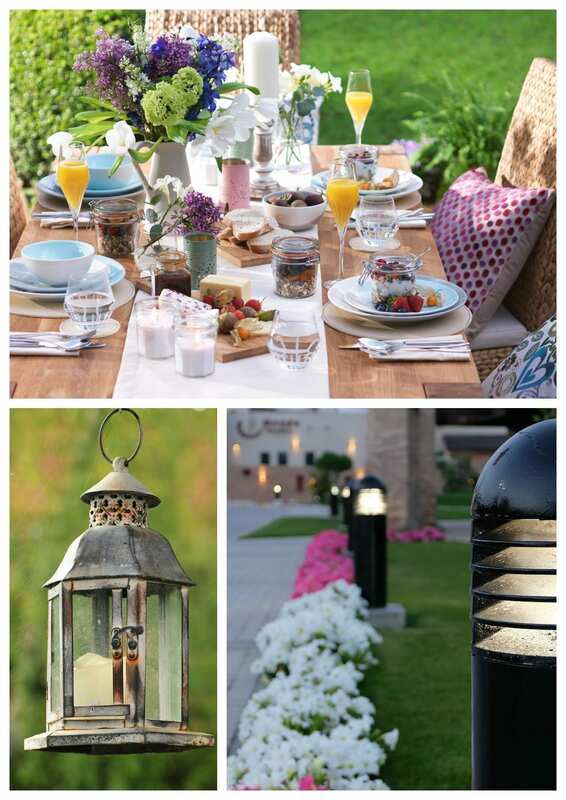 Do you enjoy adding outdoor lighting to your garden?